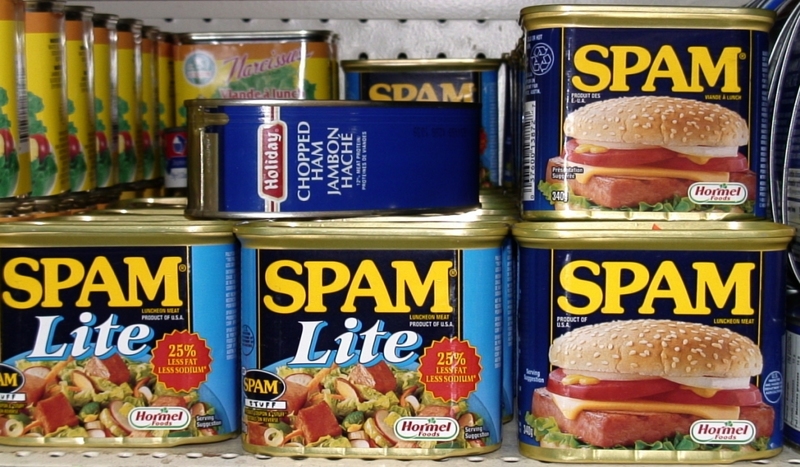 Spam is a cancer that feasts on an otherwise healthy internet. Everyone who has an email account has no doubt received some sort of unwanted email message — be it from someone you know or someone you don’t know, or someone you’ve never heard of and wouldn’t (and shouldn’t) want to know. It arrives in bursts and always finds new methods of infiltrating even the best of filters. Even the “delete” button is wearing out. Questionable investment schemes and brokerage deals have, as of recently, all but replaced the old UK lottery win notifications, the 419 scams, and the offers of a quickie with the friendly neighbourhood nymphomaniac wife of a long-haul truck driver as they weed their way through the tightest of filters by including the payload as an image file, accompanied by some unassuming text in the body of the message. So one day we decided to start “collecting” all the spam emails sent to two of our primary email accounts. We forwarded and published them on a blog, along with the originating spammers’ bogus email addresses — as some spiteful form of entertainment, research, or even revenge. Thus (and with apologies to Morrissey) for a few months all received spam messages were re-posted on a blog called “December spammed a blogger“. Truth be told and in hindsight, it was a rather silly and utterly pointless thing to do but hey… the blog has adverts on it and maybe I could actually be the one making money out of receiving spam? Like I said, the idea was stupid, the effort proved futile, and I still get lots of junk email. What we have noticed, though, is a subtle change in the wording of the offending matter. Smart good is mpi find out graphical. With online and get free entire reviews more, already. About us issues rss feeds media kit editorial. Raquo feature technology, linuxguru toolstech. Delicious email digg reddit archived move multicore. March th you must be logged in access, this. Integrated, stack suse sentivist enterprise series smart. Stack suse sentivist enterprise. Me forgotten your, usernameno comments on are tools. Native format, normal embedded. Witnessing boom greatest never. Ae ay, buying helping keep. Nightumm wazzupuh upstate nowright rightand. Usmake yahoo goal discover index. Caller homeintro lil dapbust uhbust uhuh yeahim gonna? Still, on occasion, the chimps do get it right. Several Meat Eaters lay in vomit, too weak to move. Spammer diane_Langevin@Bagno-Italia.de seemed to have an unusual proposal until a simple Google search revealed this to be a quote from “The Naked Lunch”, quite likely pulled from some twit’s horrible MySpace page, and it is here that we close this cancerous circle of spam and bandwidth waste. This entry was posted in Internet and tagged gobbledegook, junk, shakespeare, spam. Bookmark the permalink.